Boys marigold plain satin pocket square, the perfect compliment to any formal suit for a wedding, special occasion or formal event. 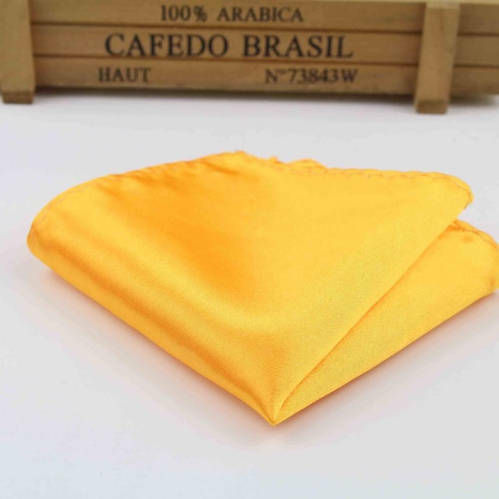 Add a dash of colour and style to your boy's formal outfit with this marigold yellow handkerchief. Featuring a high shine plain square design with a polyester blend. Suitable for any age from young boys through to young adults, simply fold the hankie to your desired size and place in the suit breast pocket.